The rumor mill has been buzzing about it for quite some time, and on Thursday the UFC made it a reality. 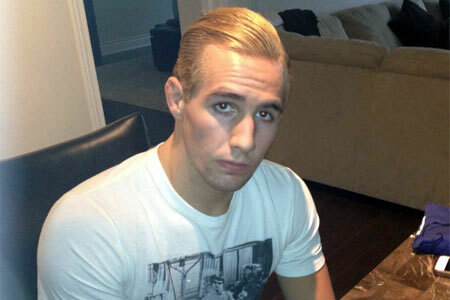 A welterweight shootout between Rory MacDonald (pictured) and Tarec Saffiedine will go down October 4 in Canada. Scotiabank Centre in Halifax, Nova Scotia is expected to host the festivities. MacDonald is victorious in seven of his past eight fights, including two straight. “Ares” most recently took a unanimous decision over Tyron Woodley in June. Saffiedine is perfect through his last five outings. The former Strikeforce star successfully made his UFC debut in January by beating Hyun Gyu Lim. The welterweight affair will headline the show. No word if the event will be made available for live viewing in America via UFC Fight Pass, Fox Sports 1, Fox Sports 2 or some combination of the three.